Moms plan most family vacations, including the activities. We love things to run smoothly and efficiently, but sometimes the unplanned, spontaneous finds, off the beaten path, churn out the best memories. If you are planning a road trip in the Gatlinburg and Pigeon Forge area, don’t be afraid to scope out things beyond the norm and let other family members make suggestions. 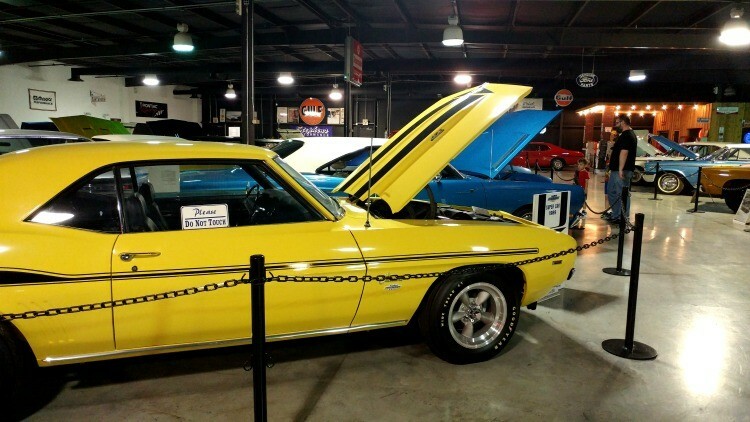 The Floyd Garrett Muscle Car Museum in Sevierville, Tennessee proved to be a low-cost entertaining stop for all of us. It could also make a great outing for Father’s Day in the Smokies. A recent TravelingMom survey shows that moms do most of the planning when it comes to family vacations. That’s largely true in my family as well. But giving up creative control in regards to activities and spontaneous stops have proven to be a huge plus for us. My husband has a history of great finds off the beaten path. We stopped in Metropolis, IL for a nice afternoon visiting the Superman statue and the Super Museum across the street. We spent a few hours enjoying two free museums, live alligators, unique animal decor and several aquariums at Bass Pro Shops in Springfield, MO. He also gets credit for another great road trip pit stop location. 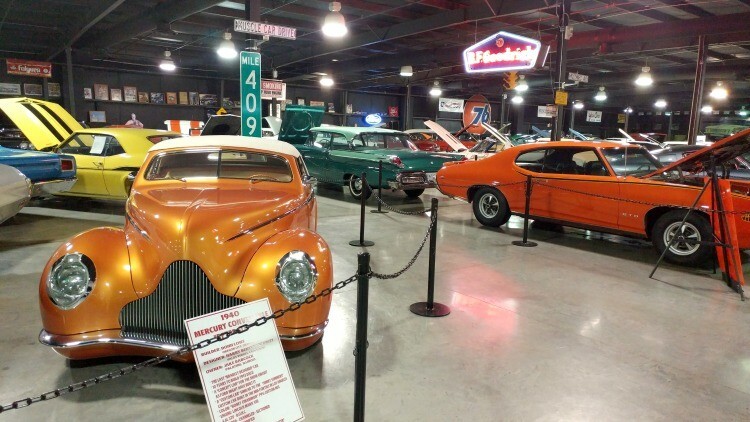 The Floyd Garrett Muscle Car Museum in Sevierville, Tennessee. Where is Floyd Garrett’s Muscle Car Museum? As we trekked into Pigeon Forge, TN on a recent trip, a sign for Floyd Garrett’s Muscle Car Museum in Sevierville caught his eye. It was a good time for a road trip break, so we stopped in. It’s located just off of Highway 66 on Winfield Dunn Parkway. Admission cost less than $30 for our family of four. I expected lots of shiny, Do Not Touch signs and a nice glimpse into husband heaven, and I was right. I was so in awe, I did a nice, slow walk-through video of a large section of the museum. Check it out! What Can You Expect To See At Floyd Garrett’s Muscle Car Museum? There are 90 plus shiny, beautiful muscle cars packed into the museum. Oldies play overhead on the speakers, I specifically remember “Don’t Worry Baby” by the Beach Boys. There are race cars, pace cars, old hot rods, new hot rods and even movie cars inside. There is a clear walk path around the cars, roped off along informational signs about the various makes and models of the cars on display. There are indeed lots of Do Not Touch signs, for good reason. The collection represents more than $8 million. It was fun to see they also have a sense of humor. Who and What is Floyd Garrett Muscle Car Museum? Floyd Garrett is well-known in the automotive industry as a collector and curator of high performing muscle cars from the 50’s, 60’s and 70’s. He started his rare and unusual muscle car collection in 1975. My husband works around hot rods all day as a television producer for the show Detroit Muscle, so this museum was a must-see for him. He used words like ‘Cuda, Hemi, Superbee and “Mopar or no car”, his personal mantra. He was happy here! 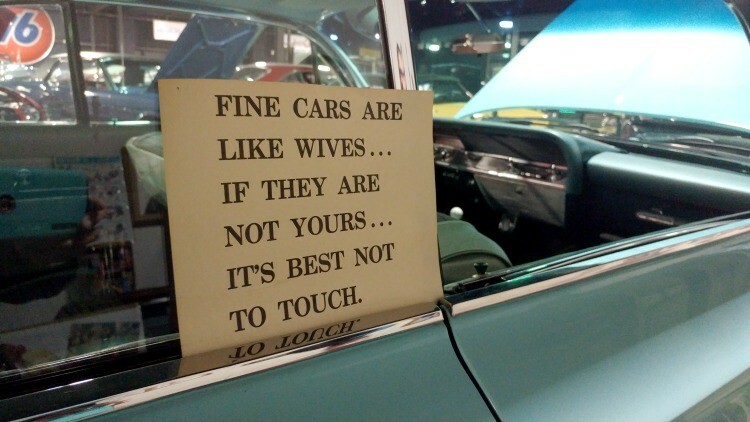 Are There Any Famous Cars in the Muscle Car Museum? They have two 1970 Dodge Challengers that were used in the filming of the famous Vanishing Point II movie. The car on the right was the main camera car used for the film. A total of 5 Dodge Challengers were used in each movie, some of which were destroyed during filming. 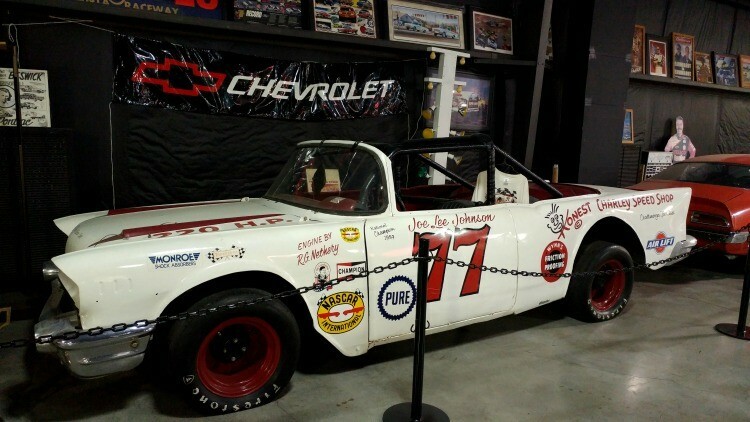 One of the unique finds: a 1959 NASCAR Convertible Series champion race car. 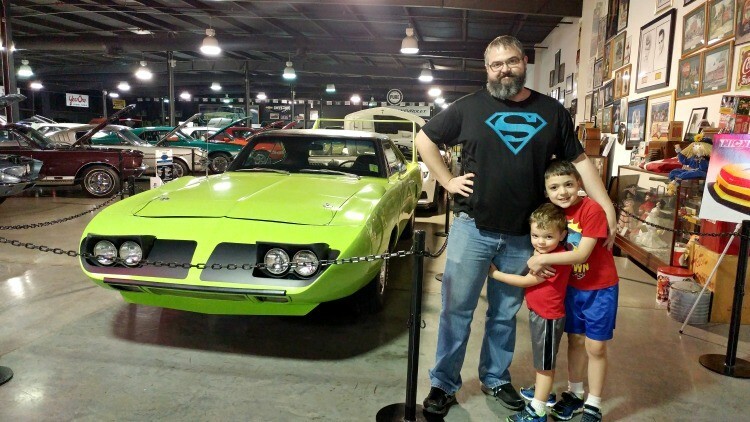 Is the Muscle Car Museum a Good Place To Bring Kids? Yes, it’s a great place to bring kids with the understanding that you cannot touch the cars. It can be very tempting to want to touch the pretties, so we made sure to explain the rules before going in. 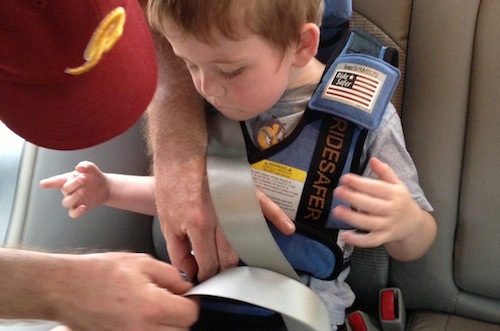 They did fine and asked several questions, which dad was more than happy to answer. This is his area of passion and expertise, so he was glad to share this experience with the kids. It made for a great memory watching them walk down the aisles together. This was the kid favorite: a lime green 69 Plymouth Superbird Roadrunner car. Meep meep! There is more to see other than just cars. There are a few displays that are fun for kids to find. Along the wall, there are also several cases of collectible items. Patsy Cline memorabilia, Dukes of Hazzard, model trains, and even a collection of California Raisin figures. What Else Should I Know About the Muscle Car Museum? As we were leaving, we noticed a “For Sale” sign near the building. Floyd Garrett is looking at retiring soon, so the property and building are for sale. The cars, however, are not for sale. New ownership of the building determines whether or not the museum remains here permanently, so be sure to visit! The admission price is low, it’s good for kids and if you know and love someone that loves muscle cars, it’s a must-see! What’s your favorite muscle car museum? Share in the comments below! Another fantastic Muscle car museum is the Welborn museum in Alabama near Talladega.